LV1 is the oldest Victory-2 in the NWFB fleet. 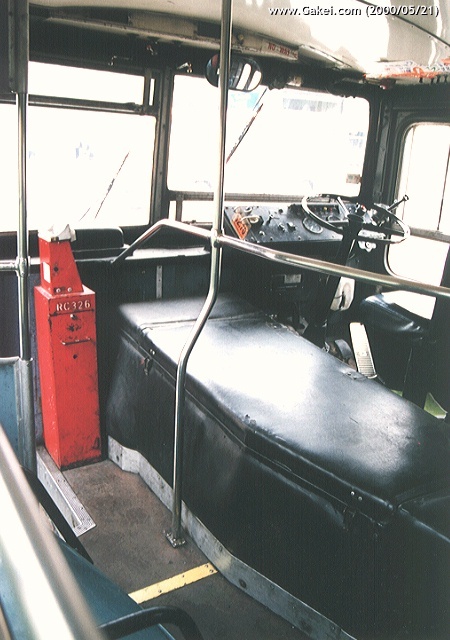 The bus was also the first Victory-2 purchased by CMB for evaluation purpose. 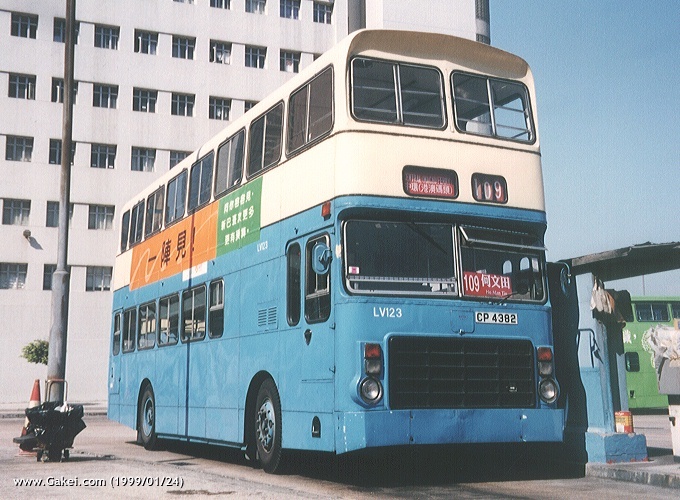 LV1 shortly after being repainted to NWFB colour. A quite last photo of LV1. 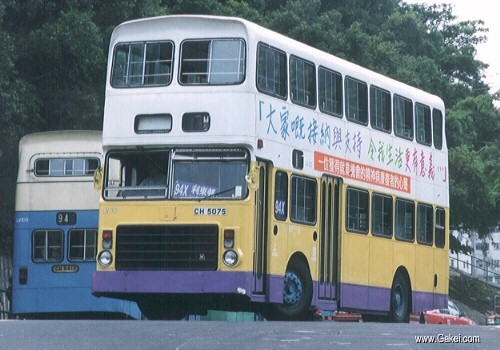 The bus was delicenced some days after the photo was taken. 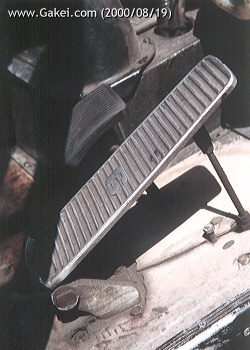 LV2 was the first of 'production' version of NWFB's Victory-2s. LV5 on Route 84. 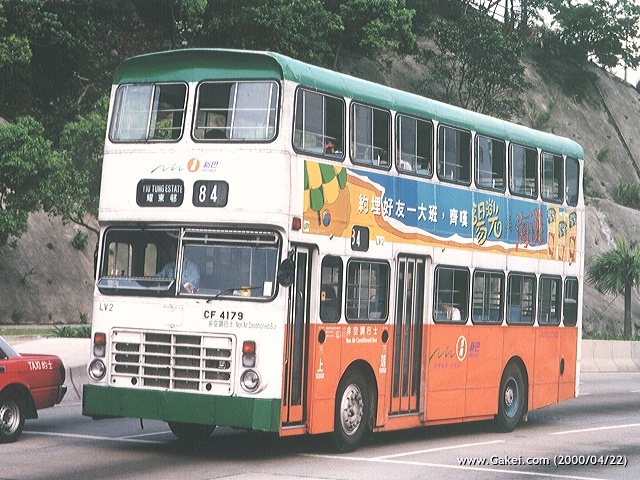 The old routeing of this route ran via Wan Chui Road. Not too many Victory-2s wore panel advertisements. 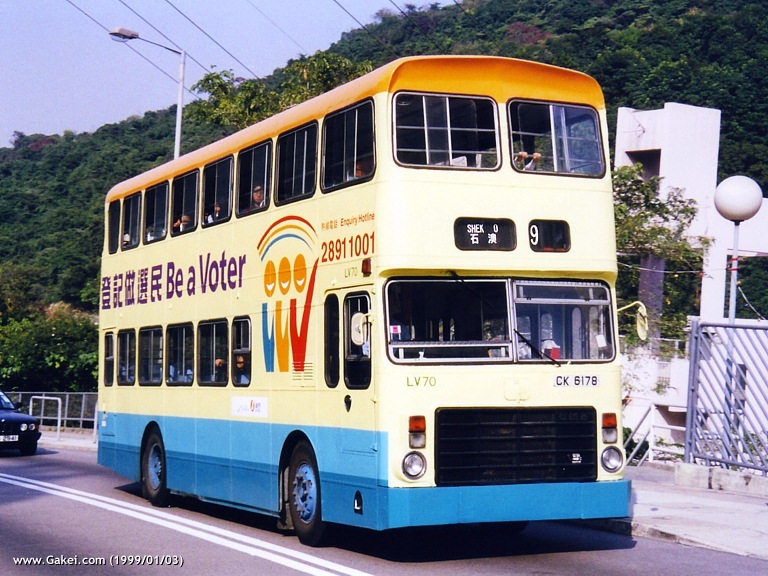 However, an advertisement of Hong Kong's Democratic Party is seen on this LV12. 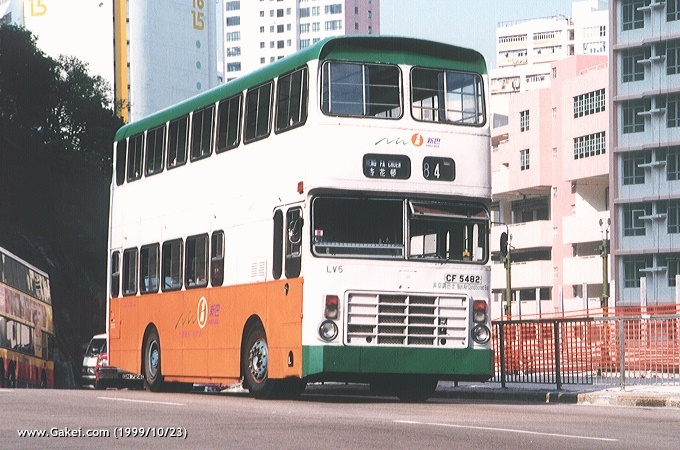 LV14 is seen at North Point, while serving Route 2. 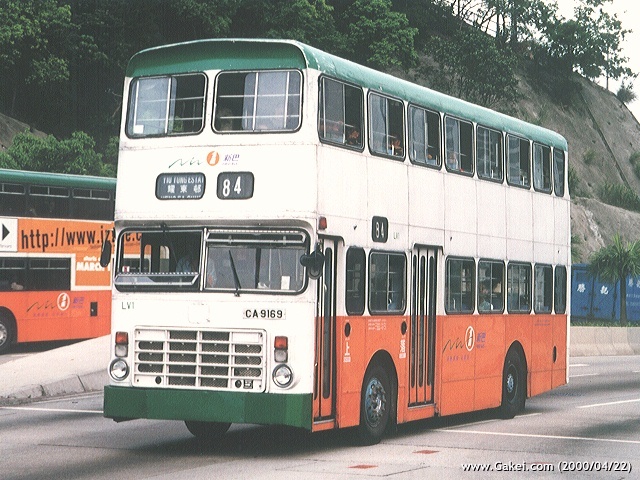 LV15 at Siu Sai Wan Bus Terminus. 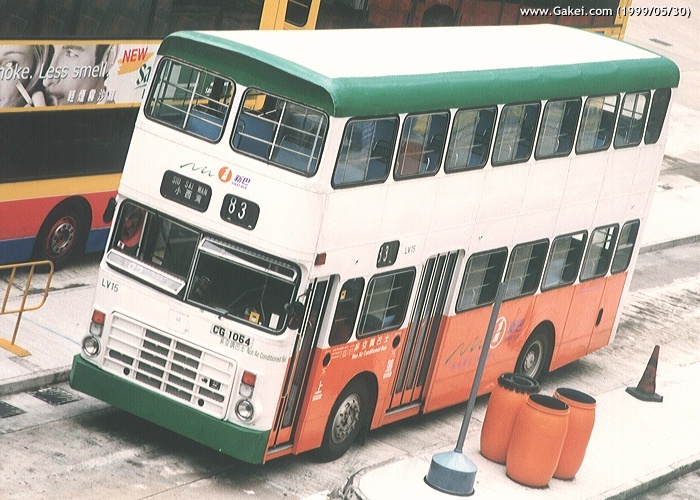 The roof of the bus was painted with white. 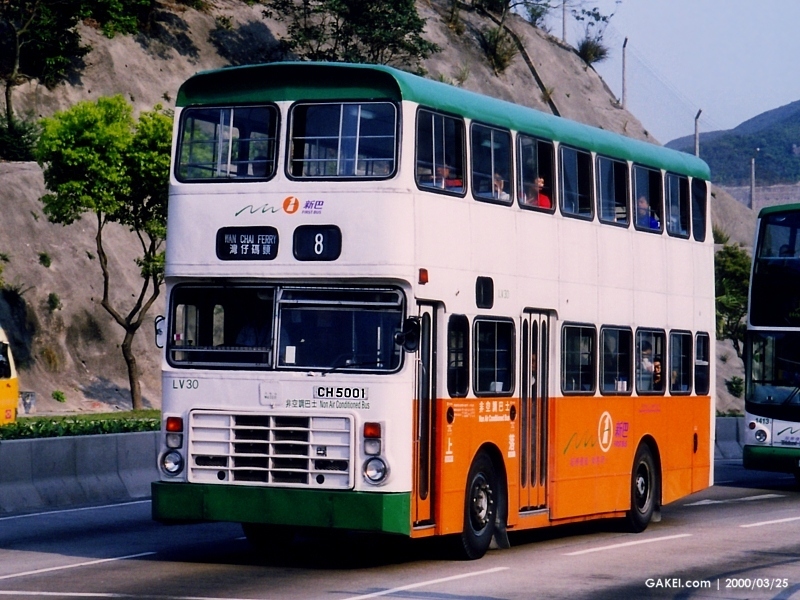 For a period of time in 2000, Route 8 received different types of buses, including double and single deck air-conditioned buses, and this non air-conditioned LV8. 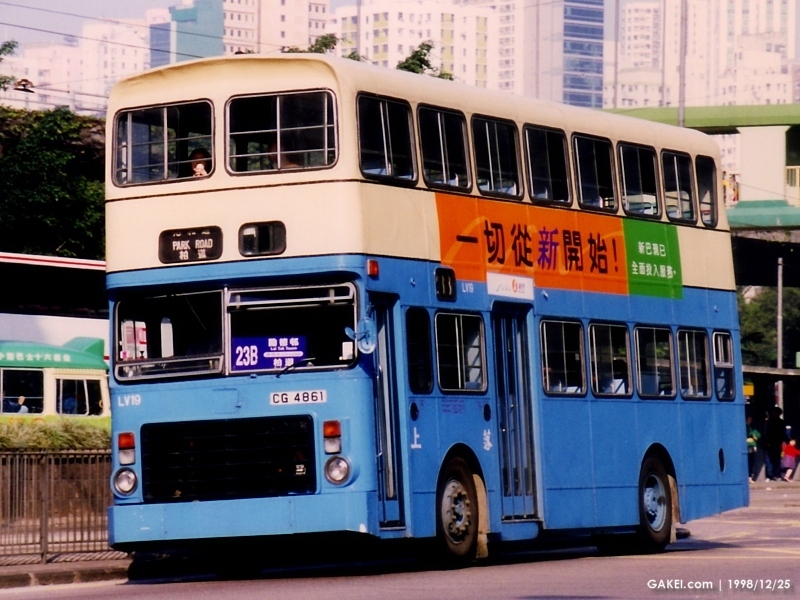 The background shows the bridge linking the two wings of Hong Kong Convention and Exhibition Centre. 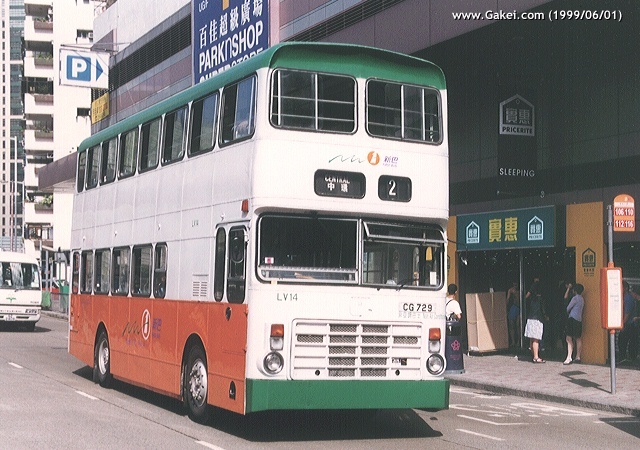 LV19 is seen serving Route 23B on the Christmas Day of 1998. 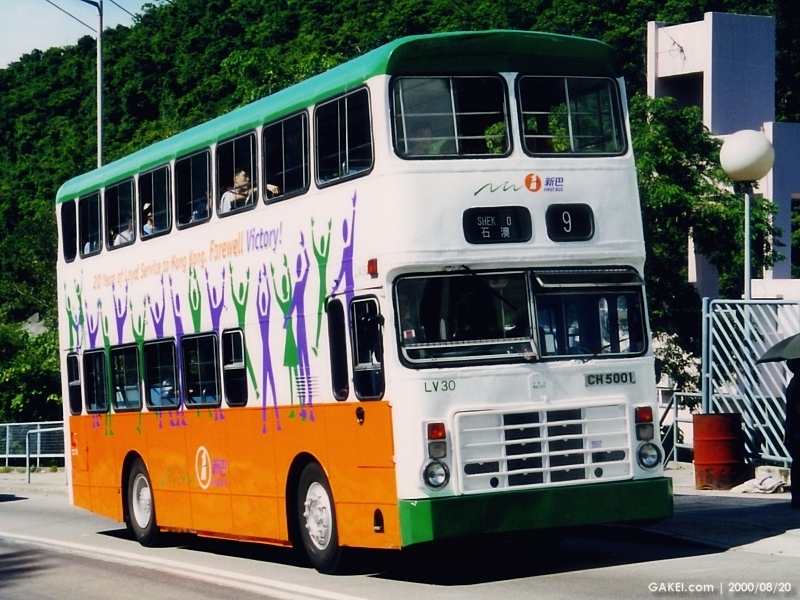 LV20 on Route 84 with an all-over advertisement promoting road safety. 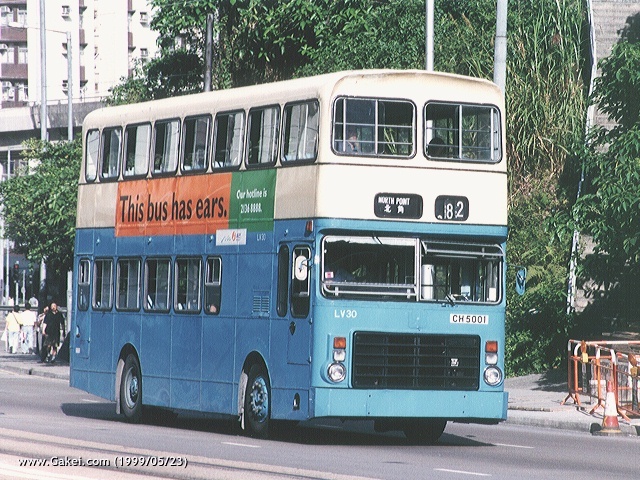 In late 1999, Route 914 was allocated with Leyland Victory-2s including this LV27. 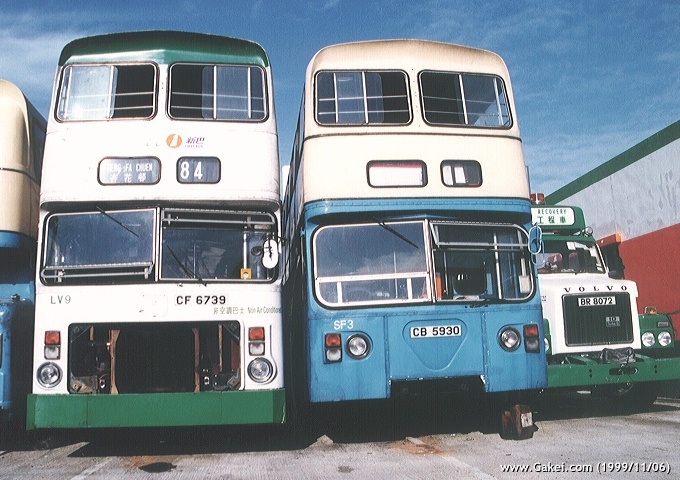 The route was later air-conditioned in January 2000. 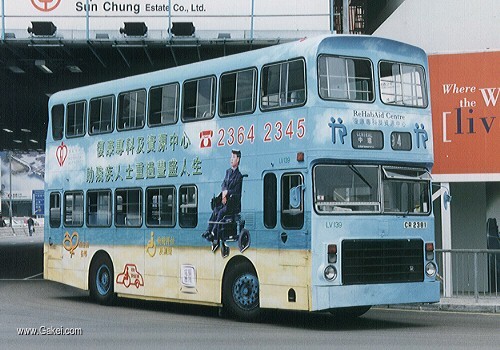 In the final days of LV27, the bus was repainted with a new all-over advertisement promoting harmonization of youth and elder in a family. LV30 was official the last LV in service. 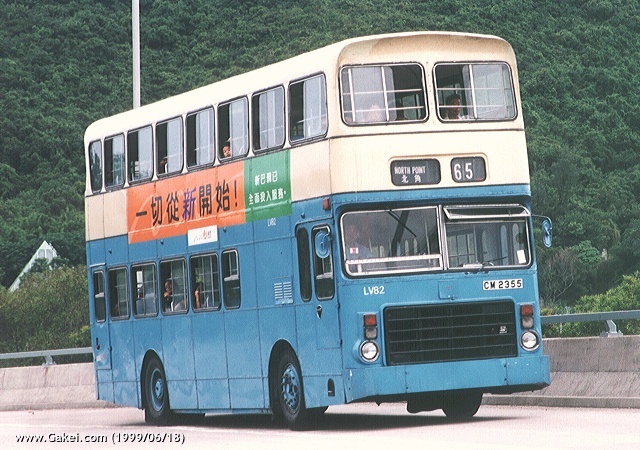 This photo showing the bus before receiving the special livery regarding the retirement of LVs. 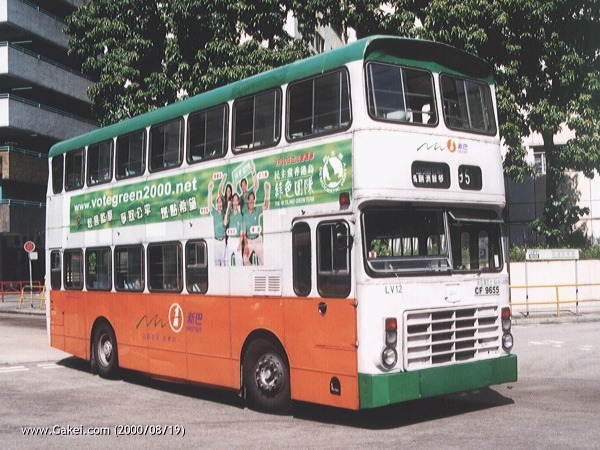 LV30 in the NWFB livery, while serving Rt. 8. 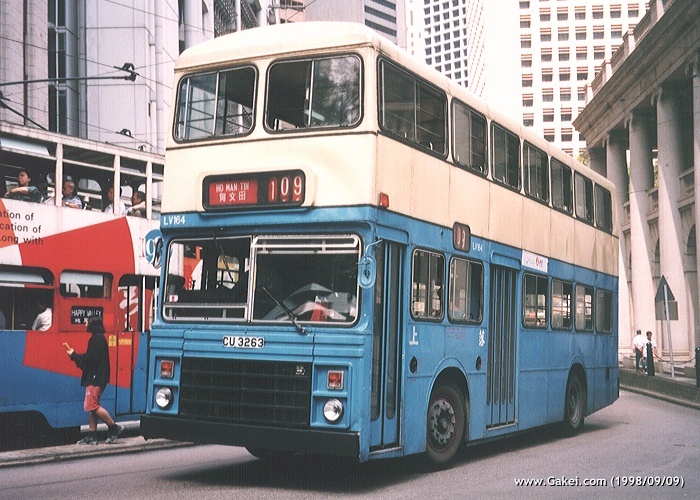 LV30 after being painted with the livery of retirement of LVs. 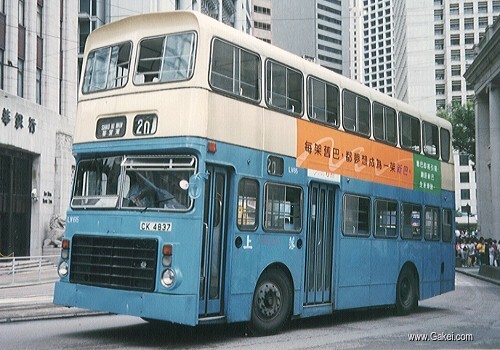 The bus was on duty for the last schedule on 31 August 2000, and ended the 20 years of service of Leyland Victory-2s in Hong Kong. 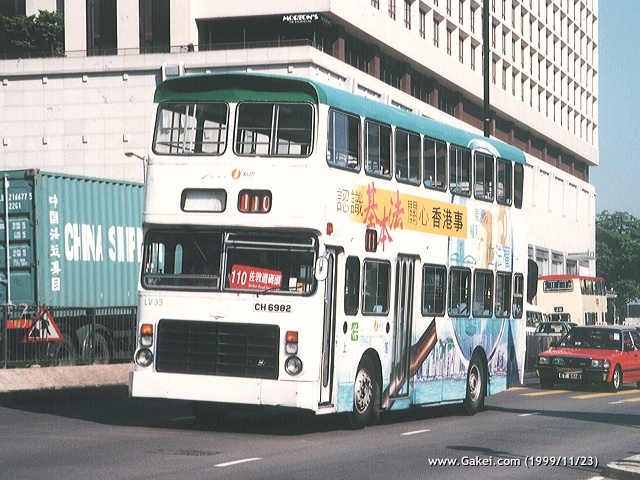 LV30 in the CMB livery. 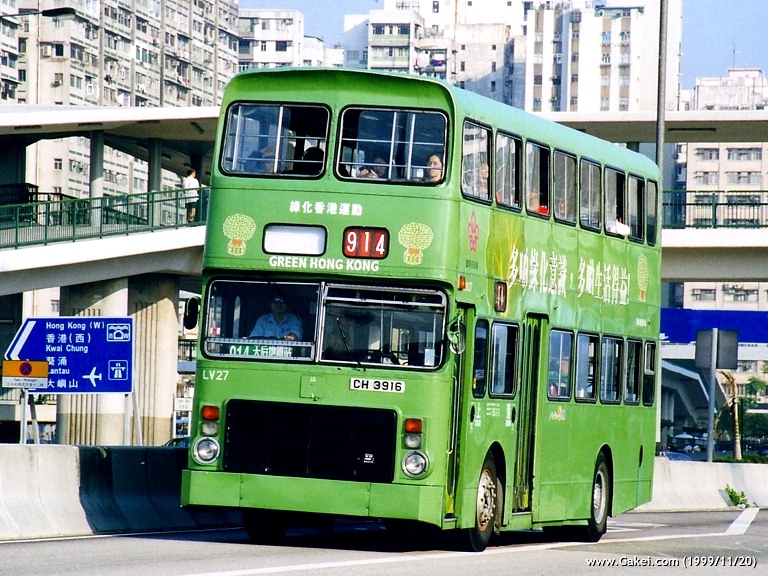 LV32 on Route 94X, is seen climbing up towards Lei Tung Estate in Ap Lei Chau. LV32 on Route 91A, another route for the Southern Distrct. 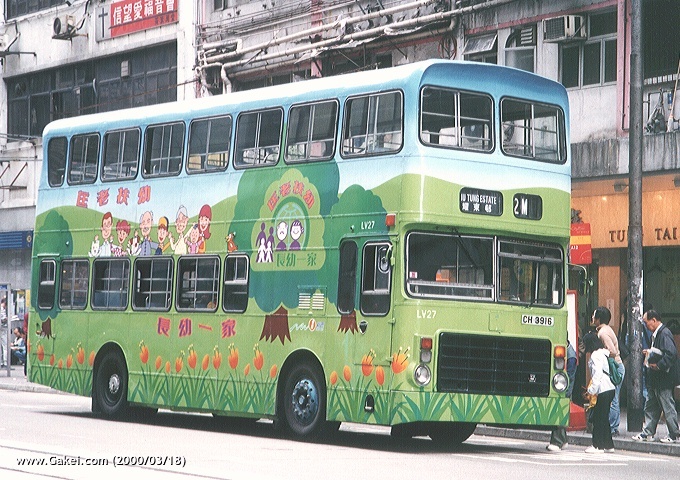 LV33 is seen serving Route 110, while wearing an all-over advertisement promoting the Basic Law of the Hong Kong Special Administrative Region. Another photo of LV33, having another all-over advertisement about installation of emergency bells in eldery's homes. 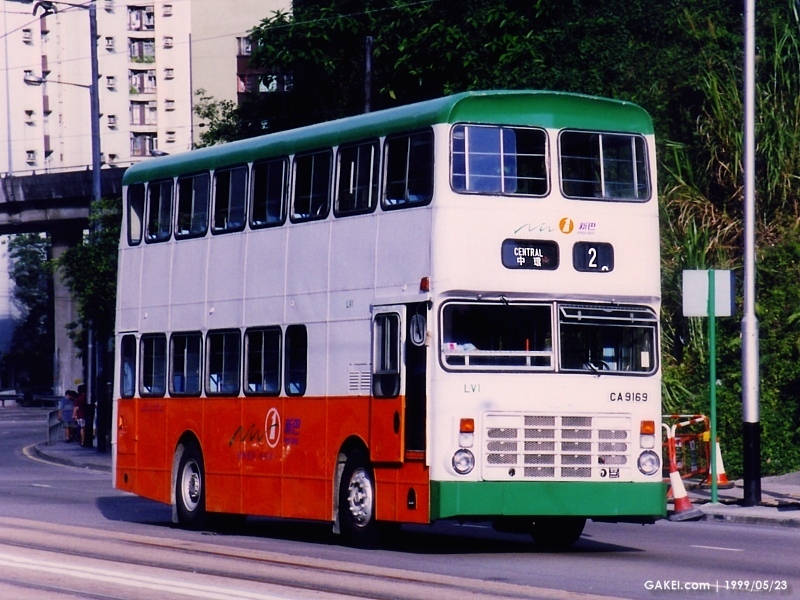 A rather old photo showing LV65 serving Route 20, and still having the CMB livery. 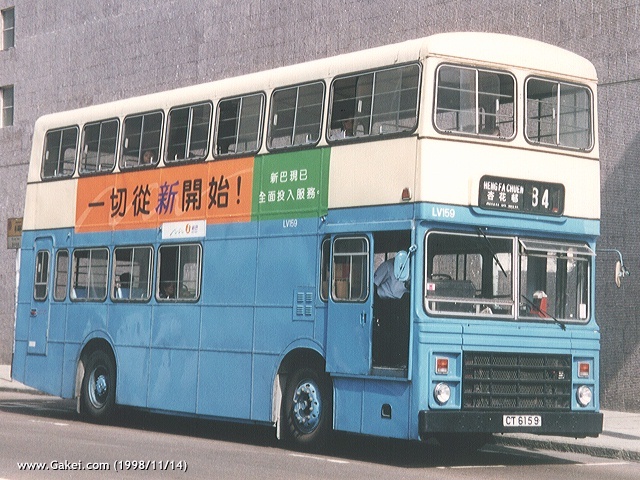 The all-over advertisement encouraging citizens to be a votor was newly painted on this LV70 when the photo was taken. 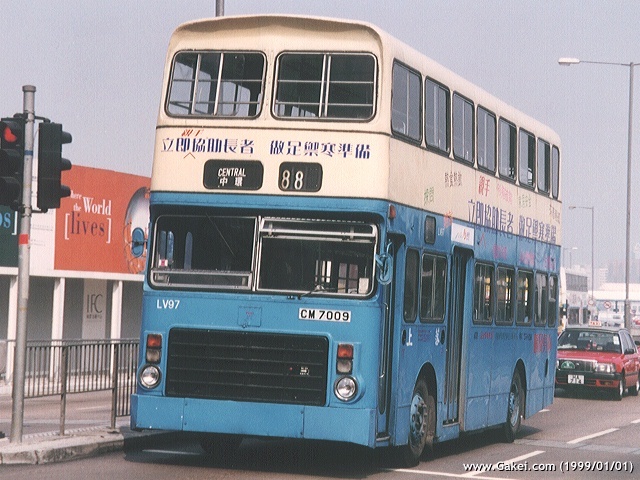 LV82 is seen approaching Aberdeen Tunnel while serving Route 65 for North Point. 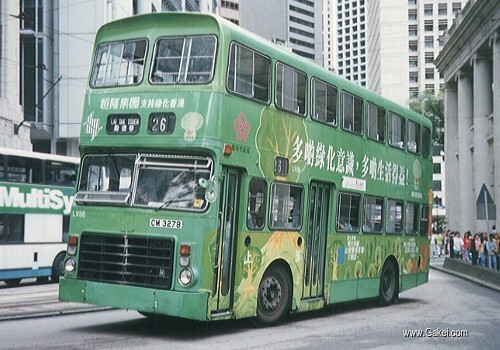 LV88 on Route 26: Another Victory-2 having the "Keep Hong Kong Green" advertisement. 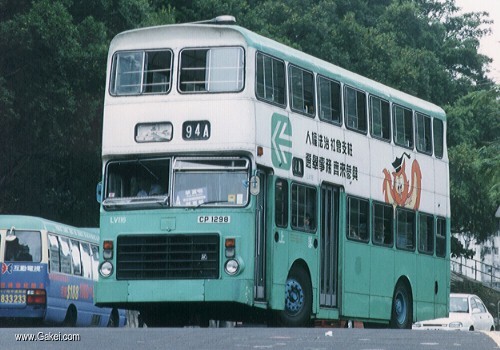 LV97 is seen having a special advertisement that only Chinese characters were sticked on the original CMB livery. 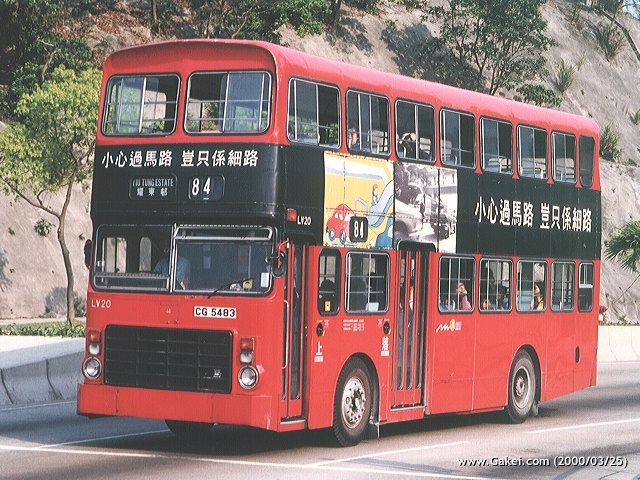 The bus is seen approaching Lei Tung Estate while serving Route 94A. 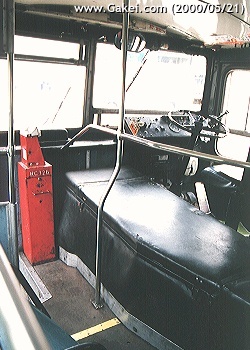 LV123 on Route 109: The bus was also a shedular bus of the route in the CMB era. 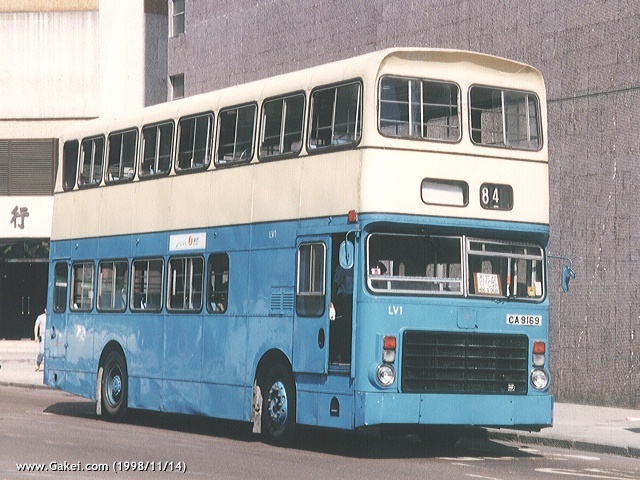 Route 94 was one of the routes that LVs mainly served. 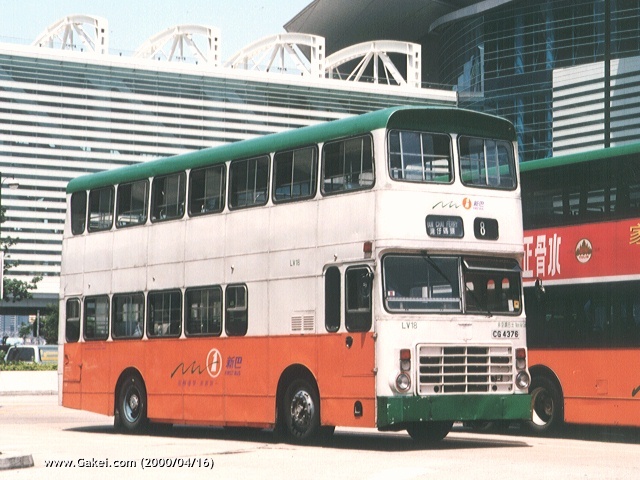 No Duple-Metsec Victory-2 was painted with the NWFB livery, including this LV158. 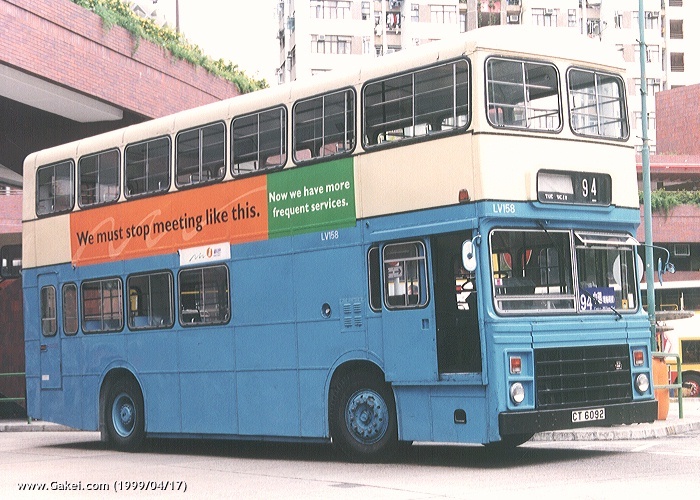 LV159 was another Duple-Metsec Victory having a CMB livery on the body. 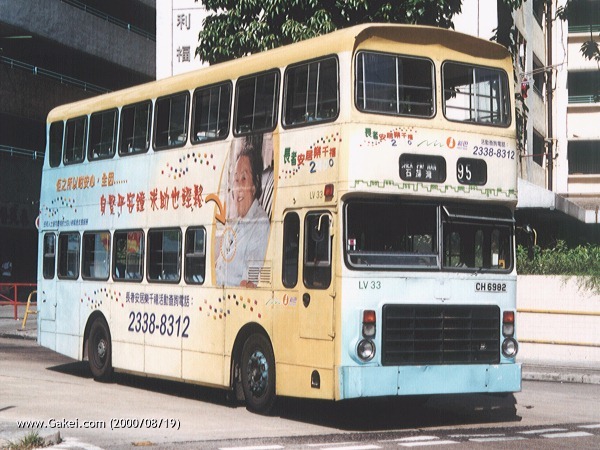 The NWFB panel advertisement was normally seen on the non air-conditioned buses. 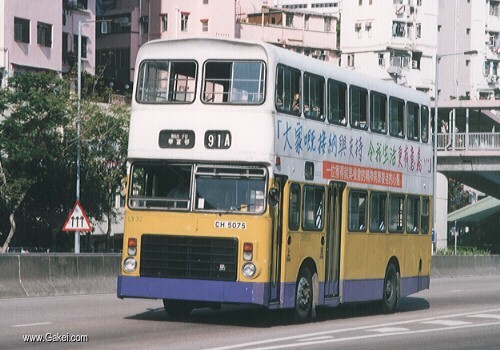 NWFB continued using some Duple-Metsec Victory-2s for Route 109 after taking over the CMB services. 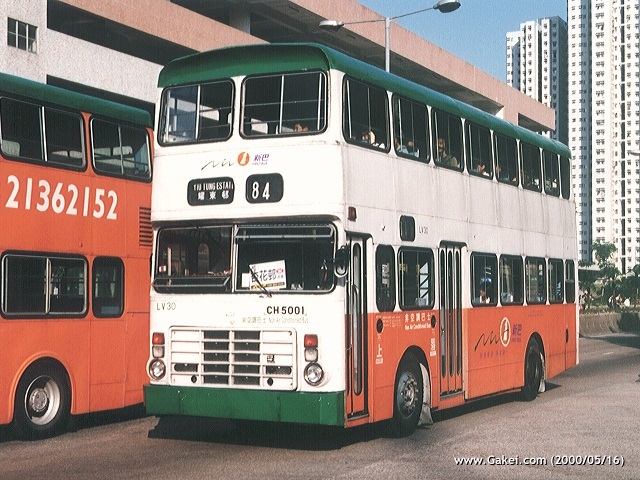 LV9 (Left), together with Leyland Fleetline SF3 on the right, are seen here in the NWFB Shing Tai Road Depot, and was waiting for demolition.